• Relieve symptoms of hormone imbalance. • Balance hormones, prevent disease and protect health. • Neutralize the effects from injury. • Restore balanced physical alignment. • Transform poor posture/movement into healthy patterns. • Strengthen and reclaim vital energy. 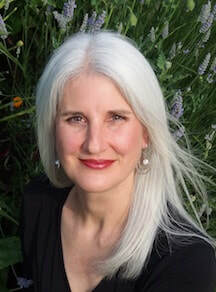 Tamra has studied with Judith Aston and practices a form of Structural Integration designed to restore natural alignment, vitality and dynamic well-being. She uses an advanced form of myofascial release to neutralize the effects from injury or overuse and incorporates movement education so you are better able to maintain the positive results of a bodywork session. She has studied with Jennifer Mercier and offers massage and natural therapies for fertility and women’s health. Tamra helps you find your optimal alignment, move toward optimal health and find the joy of moving freely in a balanced body. Tamra began teaching yoga in 2002. Initially trained in the Anusara Yoga style, Tamra went on to complete the 500-hour Healing Yoga Foundation teacher training in 2011. Her primary teachers are Chase Bossart and Gary Kraftsow, both long-time students of Mr. T.K.V. Desikachar. This tradition emphasizes the adaptation of yoga to the individual's specific needs and goals throughout all phases of life. Tamra empowers individuals to progress toward improved health and wellbeing through the application of the teachings and practices of yoga.